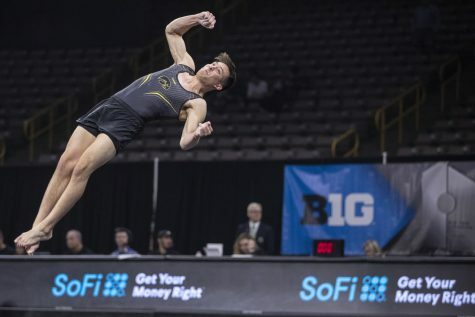 The Iowa men's and women's gymnastics teams are back in action this weekend to dive into their Big Ten slates. Iowa gymnast Lauren Guerin performs her floor routine, during women's gymnastics vs. SEMO at Carver-Hawkeye Arena on Friday, January 11, 2019. 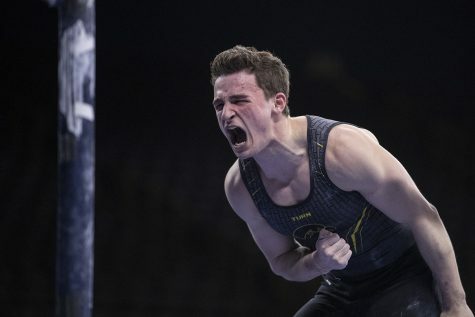 The Iowa men’s and women’s gymnastics teams will each take on a Big Ten opponent this weekend, and both teams seem to build on a core value: confidence. 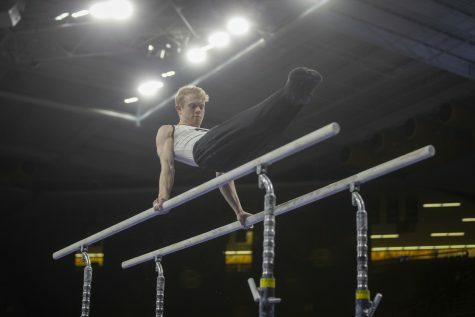 The GymHawks will hit the road to Columbus, Ohio, to take on No. 15 Ohio State on Feb. 2, and the men will make their season début in Carver-Hawkeye against Minnesota and Illinois-Chicago. This marks the first Big Ten road meet for the women this season, and the GymHawks seem ready for the challenge. 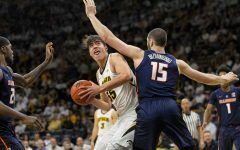 After tallying their first Big Ten win, against Rutgers on Jan. 26, the Hawkeyes feel ready to take on the Buckeyes. 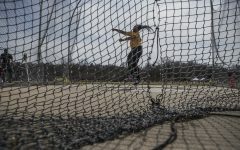 Guerin, along with freshman Bridget Killian, had an impressive meet against Rutgers, and she will be another key component to success at Ohio State. After losing a close one to Minnesota in the team’s Big Ten opener, confidence was key to help the team continue with its motto of “moving the chains” to get “a first down” that would ultimately lead to success. The win against Rutgers gave the women a boost of confidence to push harder and continue working on the important details to give them the opportunity to find success in Columbus. 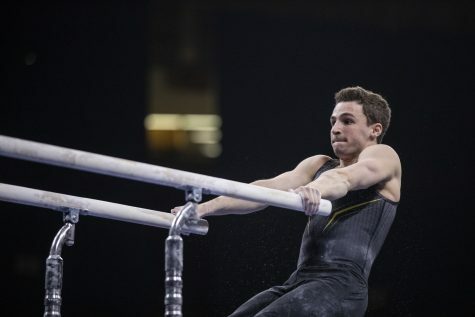 The GymHawks will take square off against the Buckeyes at 11 a.m. Feb. 2. 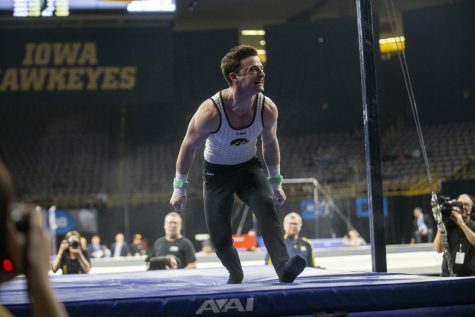 After a tough start to the season on the men’s side, the Hawkeyes will lean on confidence to pick them up. 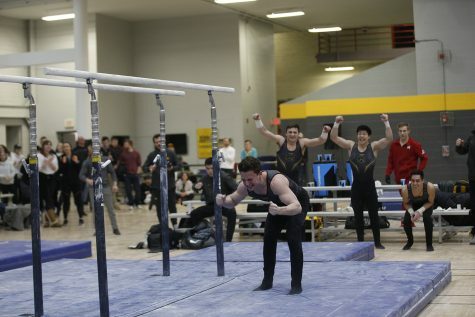 With a young team getting a lot of exposure and competition time, the squad is focused on building up the gymnasts and improving on the areas that they know they can excel in. 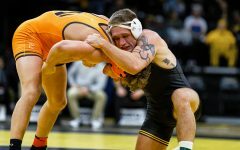 This will be the second time this season that the Hawkeyes will compete against Illinois-Chicago and the first time against Minnesota. During the Windy City Invitational on Jan. 19, the Hawkeyes placed fourth overall; Illinois-Chicago finished last. 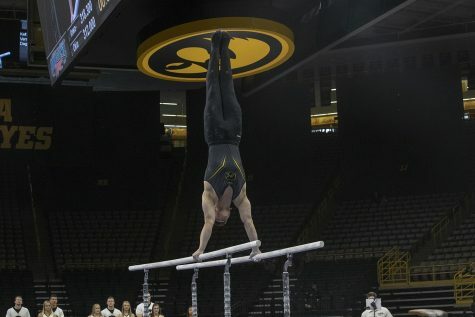 In the days since, the Hawkeyes have improved with the help of the young gymnasts who are getting the starts. 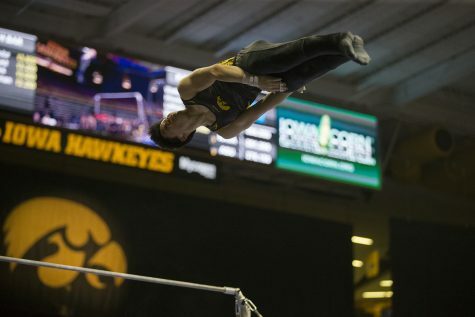 Bennet Huang performs on the horizontal bar during men’s gymnastics against Penn State and Arizona State on March 3, 2018, at Carver-Hawkeye. 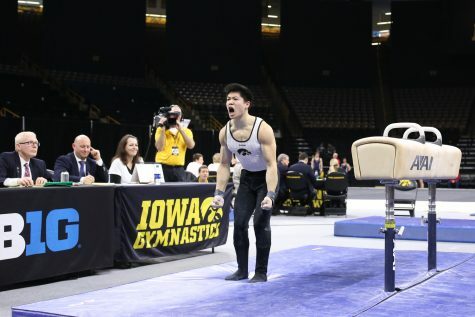 Sophomore Bennet Huang has taken the season by storm and led the Hawkeyes with individual awards. Huang is tied for first on vault and second in the all-around. That goes a long way to helping give the team momentum on making detailed improvements. Feb. 2 in Carver will be the first time the Hawkeyes will have its home crowd to cheer them on and boost the confidence they are working to grow.